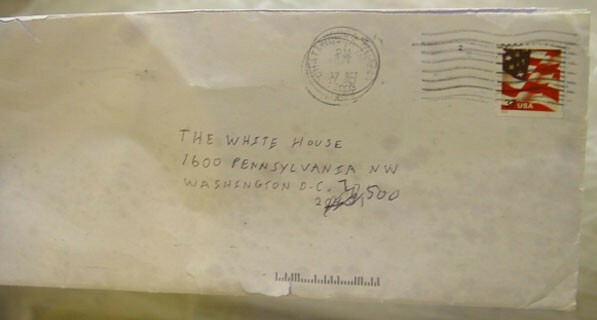 One of the most chilling episodes regarding national security and potential terrorism or sabotage is called “The Drumhead.” In light of the current charges and counter charges around the NSA leaks, Edward Snowden, the Boston Marathon bombing and the overt politicization of the terrorist attack on the US Consulate in Benghazi Libya it is an episode that remains especially pertinent. 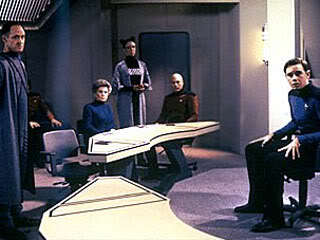 The episode is about an investigation that takes place on the Enterprise following an explosion in its engineering spaces. Suspicion centers on a Klingon exchange officer but the investigator, the retired Starfleet Judge Advocate General a woman named Nora Satie and her Betazed assistant soon casts a wide net which eventually brings charges against a crew member and eventually Captain Picard. At first Admiral Satie’s investigation seems reasonable. After all the Federation was in danger and there was a possibility that Flagship of Starfleet was sabotaged and there was the possibility that the Klingons or others might be involved. Thus as she began her investigation she was welcomed by the Captain as well as the Security Chief, Lieutenant Worf, the only Klingon serving as a Starfleet officer. Satie investigation which is assisted by Enterprise officers find out how the Klingon scientist smuggled classified information off the Enterprise. Lieutenant Commander LeForge determines in his investigation that the explosion thought to be “sabotage” was caused by a flaw in a recently replaced dilithium chamber. Although convinced that the Klingon is not the saboteur Satie is convinced that another saboteur is aboard the Enterprise. Satie and her assistant uncover a piece of information that a crewman lied about his family background on his enlistment contract. They then use it to attempt to connect the crewman to to the Klingon spy by supplying false information about the explosion in an attempt to get the crewman to admit guilt. 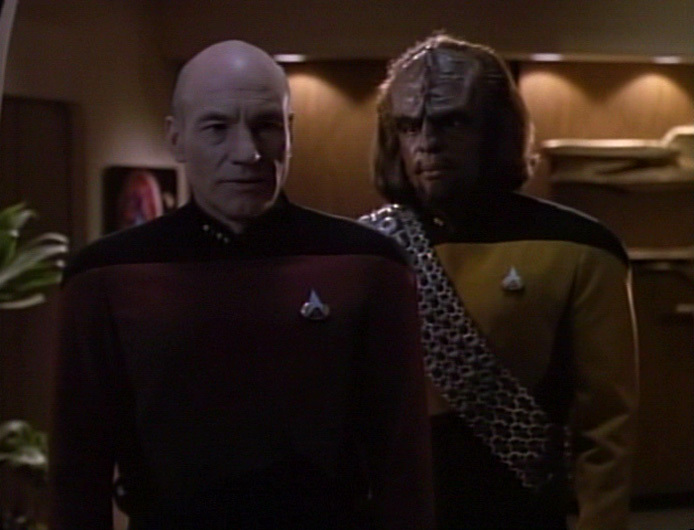 As the investigation widens Picard discusses it with Lieutenant Worf. I find this dialogue to be quite relevant to today in the twelfth year of the War on Terror and the passage of the Patriot Act. 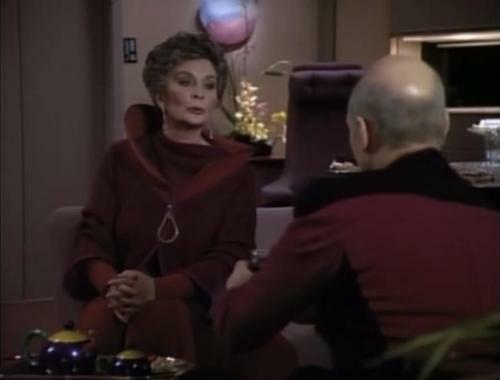 This brings about the final confrontation where Admiral Satie calls a Senior Admiral from Starfleet to watch her interrogate Picard who she has labeled a traitor. The investigation ends with her interrogating him and in the process revealing that she has become so consumed with “defending liberty” that she is willing to trample the rights of anyone that she suspects of disloyalty to the Federation. 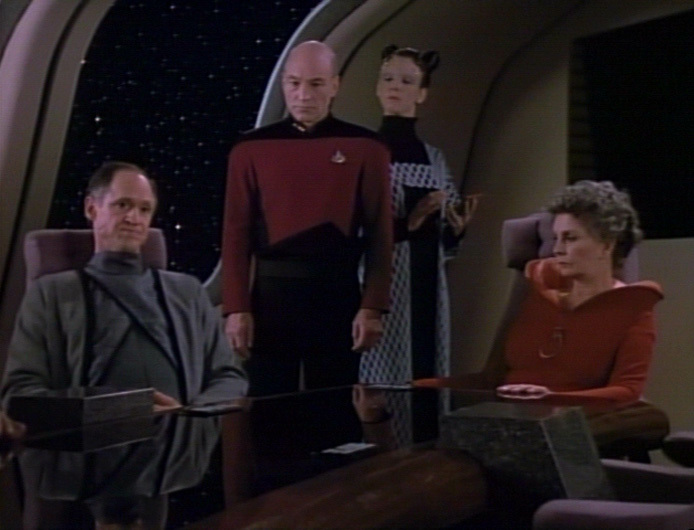 The questioning of Picard by the Admiral is fascinating and thought provoking because there are people that think and act just like the Admiral, believing like her that they are defending the United States or in her case the Federation. Admiral Henry ends the investigation then and there and sends Admiral Satie home. Of course this is fiction but the mindset and attitude of Admiral Satie seems to have been embraced by some in our government and security agencies, including the TSA and the NSA. But the talk is out there, former Senator and Secretary of Defense William J. Cohen said: “Terrorism is escalating to the point that Americans soon may have to choose between civil liberties and more intrusive means of protection.” Well the choice has been made and I don’t think that there is any going back despite the posturing of politicians on both sides of the political divide. The fact is that polls show that the majority of Americans are willing to sacrifice freedoms for security. 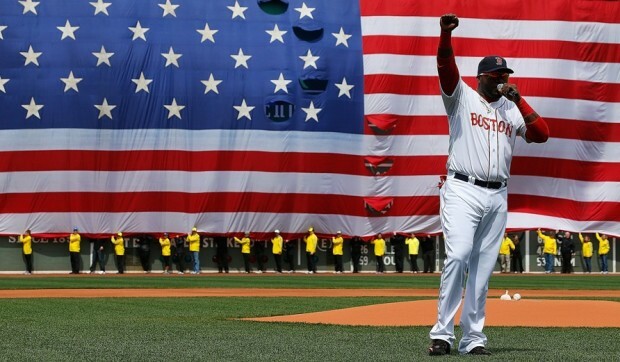 I contend that we must fight this war but in the process not lose who we are as a people and surrender the ideals, principles and freedoms that made us the envy of people everywhere. While Edward Snowden may have acted illegally and for all we know may now be attempting to work some kind of deal with the Communist Chinese to keep himself out of the United States justice system. Since what he revealed to Glenn Greenwald actually is a matter that needs serious debate by Congress, the administration and the body politic I think it would be better for him and the country if he came back and stood trial rather than hiding out in a country that repeatedly attacks us with cyber warfare. I think that Snowden damages his credibility by fleeing and in the process will derail the debate that is needed on how we balance legitimate security concerns without destroying our political system and hard won freedoms in the process. The balance has to be found in this effort; right now the pendulum is so far to the security side that it seems freedom is no longer even a concern at least for the vast majority of the population and our political leadership. The current situation has raised the issue but unless we undertake a real debate in the issue it is very likely that it will fade away and the national security state that we have become will grow even stronger with the inevitable loss of even more civil liberties. One only has to look at what politicians on both sides of the political chasm have said about “protecting the homeland” to realize that this is only the beginning and that if we do not have a spirited public debate that we risk our Constitutional liberties under the 4th Amendment as well as potentially the 1st Amendment. The latter is a real possibility not in the matter of Snowden, but Greenwald and other reporters who did their job reporting the story. Republican Representative Peter King has urged that charges be brought against the reporters. Prosecuting Snowden is one thing, should we be able to get him back because he did break the law, even if one agrees with his reasoning for doing so. However prosecuting reporters for doing their job is something that would be chilling. I cannot see that happening, but the fact that a prominent legislator on important committees dealing with national security would suggest it shows how close we are to surrendering even more freedom in the name of security. Eternal vigilance in the face of both terrors from abroad and self imposed tyranny designed to protect us from the terrorists. Yes James Madison, God bless him was absolutely right when he said “The means of defense against foreign danger historically have become the instruments of tyranny at home.” However I fear that those that warn of such dangers will themselves be labeled the enemy. Odo: Am I the only one who’s worried that there are still Changelings here on Earth? Joseph Sisko: Worried? I’m scared to death. But I’ll be damned if I’m gonna let them change the way I live my life. 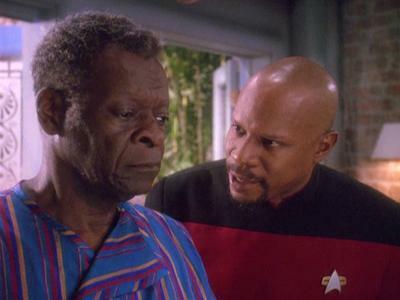 Captain Sisko: If the Changelings want to destroy what we’ve built here, they’re going to have to do it themselves. 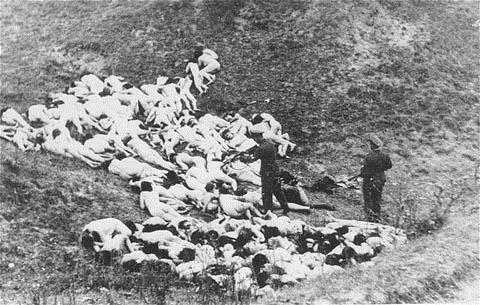 We will not do it for them. The current leaks of FISA documents regarding NSA data phone and internet collection programs including the PRISM program by ex Booz Allen Hamilton employee Edward Snowden have provoked a long needed debate. That debate is less about Snowden then it is about the broader issues that have been shunted to the side in the wake of the 9-11-2001 attacks and the passage of the Patriot Act. Of course much of the debate right now is about Snowden himself, his actions, his loyalties, his motives and institutional questions regarding how he was given such broad access to Top Secret documents not directly related to his job. As important as the later is, the more critical issue is how we as a republic governed in a democratic manner balance legitimate security needs and individual liberty. I wrestle with these issues all the time as a Priest, historian, theologian, ethicist and Naval Officer. I am a civil libertarian who also happens to know a thing or two about National Security policy. The fact is that as much some pundits and politicians are ready to jump off the edge entirely on one side of the divide or the other, their previous political differences notwithstanding we see men and women lining up to praise or condemn Edward Snowden with little regard to the deeper issues involved. The real question is how we balance the legitimate need for security with freedom and regard for Constitutional liberties. The fact is there are terrorists in our midst. 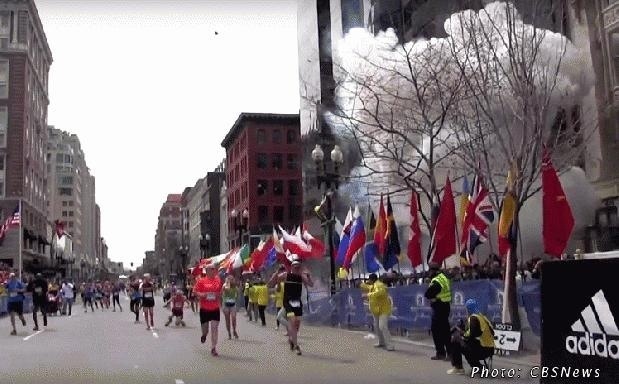 The Tsaraev brothers who carried out the Boston Marathon bombing are a case in point. There are others who I am sure are interested in or capable of much more devastating attacks. Somehow we have to attempt to protect our people and way of life without destroying the Constitution and our liberties in the process. In the Star Trek Deep Space Nine Episodes Homefront and Paradise Lost four Changelings from the Dominion reach Earth and in a series of relatively minor terrorist attacks create a chaotic situation. 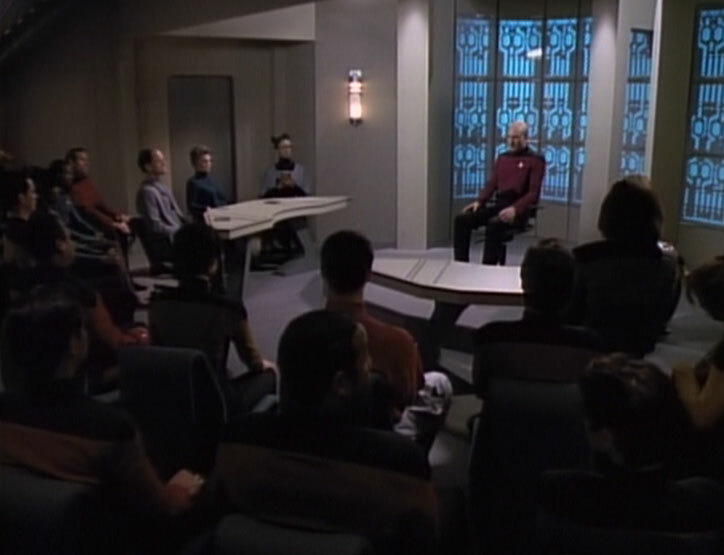 In response Starfleet officers take drastic action to convince the Federation President and Council to declare what amounts to Martial Law and the suspension of civil liberties on Earth. One of the Changelings takes the form of Chief O’Brien and contacts Captain Sisko, who due to his experience in the Dominion War and with Shape Shifters was recalled to Earth to assist Starfleet Command. 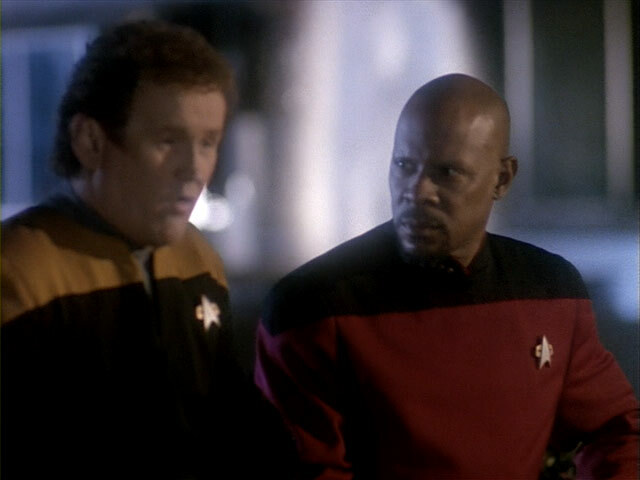 The Changeling engages Sisko in a conversation near Starfleet Headquarters. The thing it it doesn’t take many terrorists to disrupt a society but at the same time the society’s response can dictate how deep the impact of the terrorists are on it. 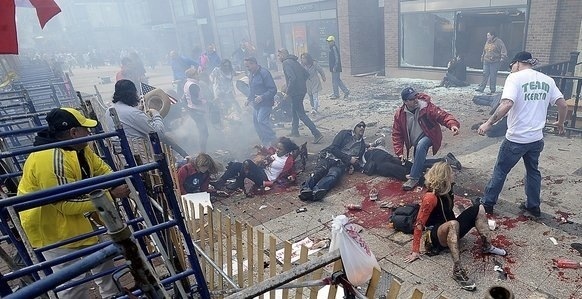 Terrorists create suspicion and tend to make people distrust others, in fact anyone that might be different than them. 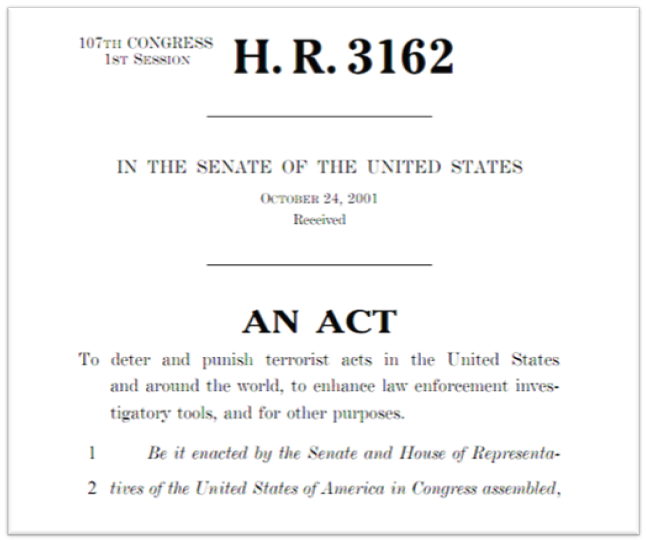 The response to terrorist attacks or threats is frequently disproportionately felt by regular citizens, anyone who has flown on a commercial airline in the United States since 9-11, the passage of the Patriot Act and formation of the TSA can testify. While security at airports may be an inconvenience the fact is that the Patriot Act also gives Law Enforcement, Intelligence and Military agencies tremendous powers to collect human and electronic data on almost any citizen. Likewise the act increased the powers of these agencies under existing counter-intelligence laws. Some say that they have actually gutted the protections 4th Amendment and that may actually be a valid point. I think that really is what we have to watch out for in this War on Terrorism. It is far too easy to in our quest for security to destroy the very foundations of our governmental system. The sad thing is that history shows us how this can happen, wars without end and suspicions of enemies within and without have destroyed civilizations and transformed republics like Athens and Rome into tyrannies. Fear is an amazing thing. It triggers responses that are almost predictable. 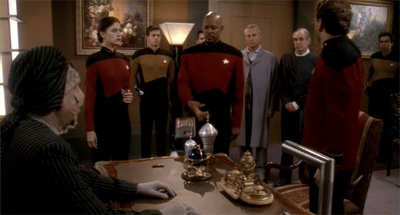 In the Homefront episode were civilian family members of Starfleet personnel are forced to give blood samples to prove that they are not Changelings masquerading as them Captain Sisko’s elderly father Joseph objects and eventually is able to avoid being tested, over the objections of his son who in in charge of the program. Joseph Sisko: Benjamin Lafayette Sisko, what the hell has gotten into your head? You actually thought I was one of them, didn’t you? Captain Sisko: I don’t know. I wasn’t sure. Joseph Sisko: This business has got you so twisted around, you… you can’t think straight. You’re seeing shapeshifters everywhere! Maybe you ought to think about something for a minute. If I was a smart shapeshifter, a really good one, the first thing I would do would be to grab some poor soul off the street, absorb every ounce of his blood and let it out on cue whenever someone like you tried to test me. Don’t you see? There isn’t a test that’s been created a smart man can’t find his way around. The truth of the matter is that regardless of what happens with Edward Snowden that we really need to look at and have a real discussion of what in the name of security we are willing to give up and what we are not. Technology has increased in ways that most people never imagined that it would be able to do, and that we could not imagine non-state terrorist enemies using against us. Those are hard questions and they require a serious discussion. If we don’t have that discussion we will be the ones that destroy our way of life and republic and not any terrorist. 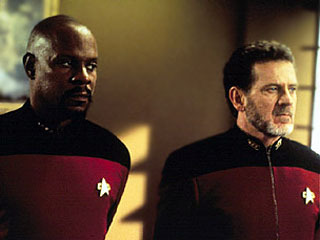 As the Paradise Lost episode comes to its climax Captain Sisko confronts the Starfleet Admiral who has implemented the martial law degree on earth. Admiral Leyton: You’ve always had a strong sense of duty. Captain Sisko: My duty is to protect the Federation. Admiral Leyton: That’s what we’re trying to do. Captain Sisko: What you’re trying to do is to seize control of Earth and place it under military rule. Admiral Leyton: If that’s what it takes to stop the Dominion. Captain Sisko: So you’re willing to destroy Paradise in order to save it? I think that Sisko’s final question is something that we need to ask those that would use the law, even bad laws to gain security but which ultimately could destroy us. It was a strange and surreal day and week. It was a day where people sought answers but only found more questions. Questions about evil, madness and of accidental disaster. Questions ultimately about truth and responsibility. 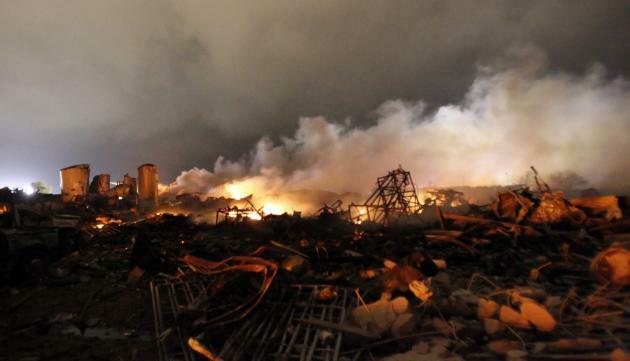 Meanwhile in the small town of West, Texas near Waco emergency crews and citizens were sifting through the rubble of a fertilizer storage facility, homes, apartment buildings and a nursing home. 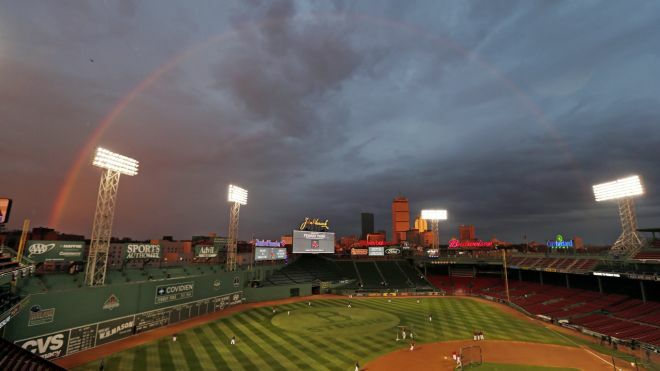 Yesterday evening a fire broke out at the facility triggering a massive explosion that registered 2.1 on the Richter Scale, was felt 70 miles away. Casualty figures are still unclear. The town’s mayor is reporting tonight that as many as 35 people, 10 being fire fighters and other first responders died in the blast and that about 160 were injured. The town is devastated, large areas are destroyed or heavily damaged. Governor Rick Perry has asked President Obama to declare the county a disaster area. 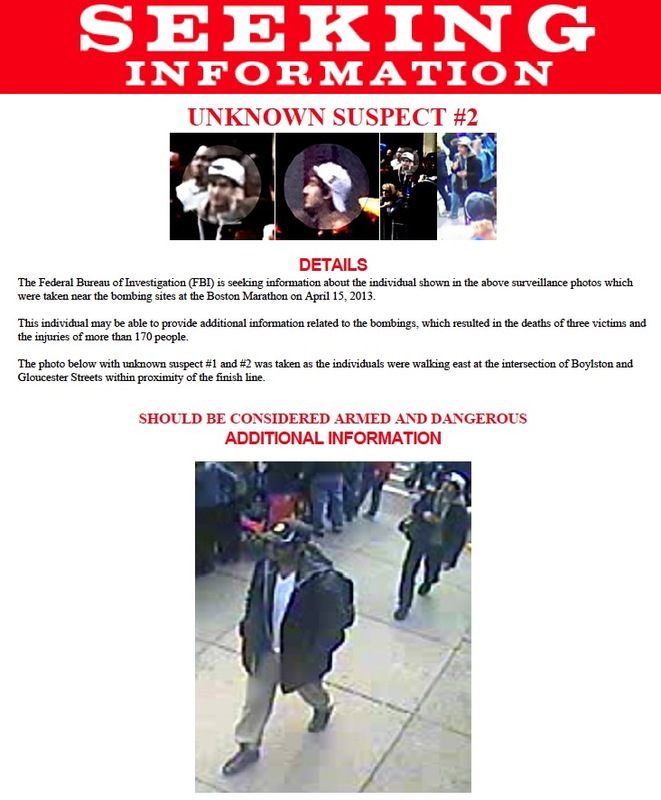 In Boston, as the city mourned and people gathered at an ecumenical prayer service in memory of the victims of the Boston Marathon bombing the FBI released pictures and video of the two suspects in the case. 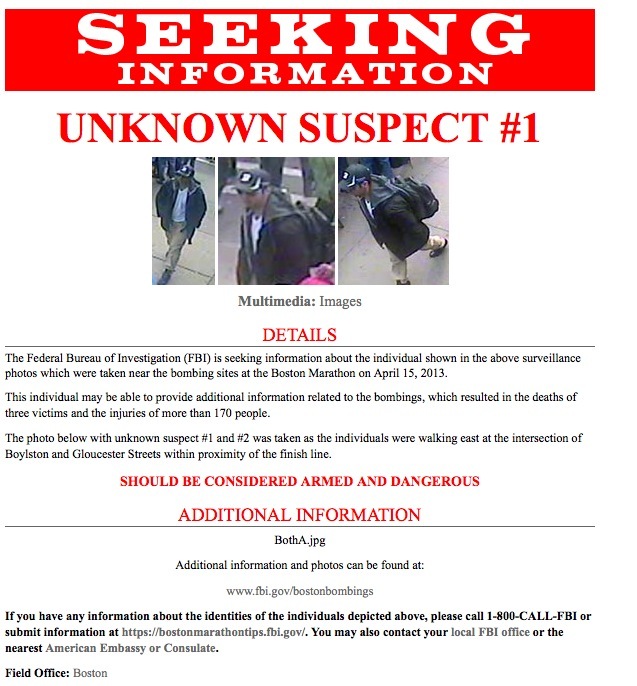 The FBI as well as city and state officials have asked citizens for their help in identifying the men who are believed responsible for the killing of three people and the wounding of more than 170 others. In all of these events there is an underlying element of uncertainty that unsettles people, and not only those directly affected but those who are exposed to them even from afar. In the midst of the unfolding tragedies people have a need for answers. After all such events, especially coming so closely on the heels of one another are unsettling and bring about in some the desire to find an answer immediately, to act with haste and recklessness to find an answer. Unfortunately haste and reckless attempts to find answers usually compound already tragic situations which could still be open ended. That may not be the case in the situation of Mr Curtis who has been taken into custody and linked directly to the poisoned letters. But let us suppose for a moment that even a mentally ill man could be falsely accused, or that he could have been working with others who are still on the loose. This does not appear to be the case, but there are many instances where people have been falsely accused. 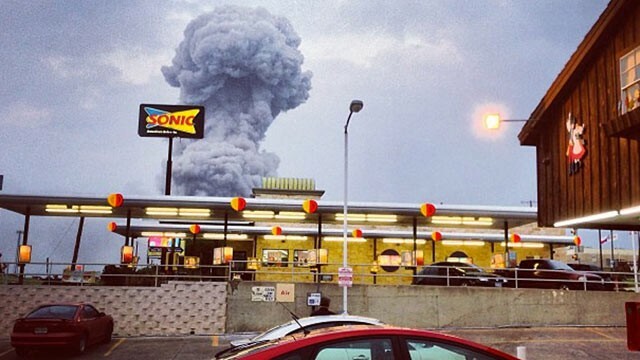 In the case of the explosion in Texas things appear to point to an accidental fire which spread and set off a massive explosion. Of course that is the presumption but even here officials have to rule out an act of malfeasance or criminality, even as they continue recovery efforts and the search for victims. The fact that the area was a storage area for the volatile Ammonium Nitrate, the same substance used by Timothy McVeigh to destroy the Murrah Federal Building in Oklahoma City. 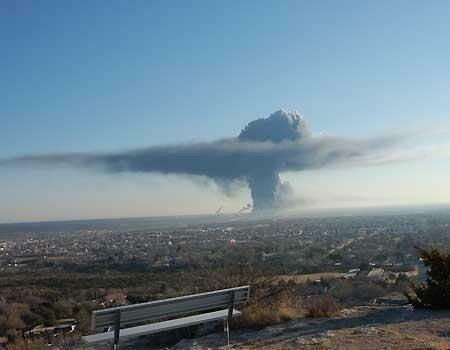 In a bizarre twist of irony the worst industrial accident ever, the Texas City disaster of April 16th 1947. 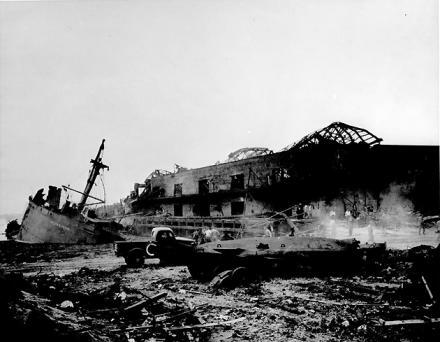 On that day an explosion of Ammonium Nitrate being loaded onto a ship killed over 600 people and injured another 5000. Several ships were sunk, the port destroyed and hundreds of homes and businesses devastated. The sad thing is that while the West disaster is probably not a criminal act, it was something that might have been preventable had any outside safety regulations or inspection regime been in place. The last Federal safety inspection of the plant took place 28 years ago. The plant was cited and fined in 2006 for not having a risk management plan in place, despite the presence of an elementary school a very short distance away. The management self reported that risk was minimal. 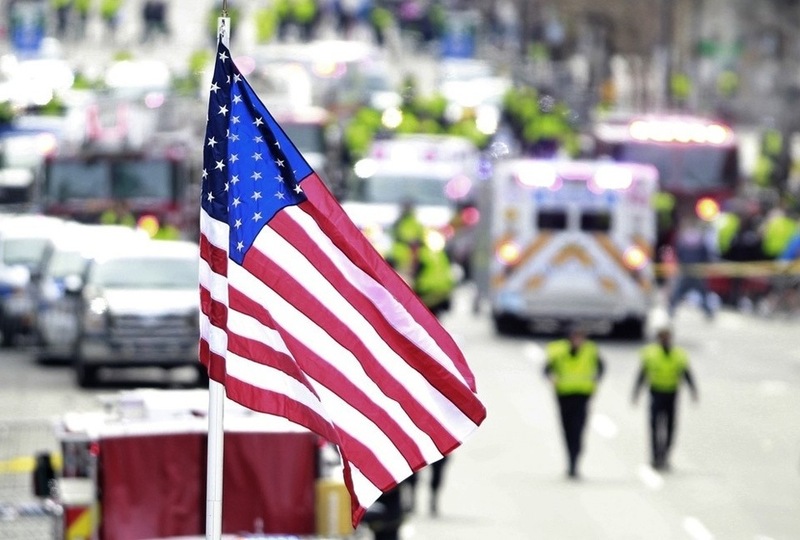 Finally in the case of the Boston Marathon bombing many people and some media outlets rushed to judgement before the FBI and other law enforcement agencies that are part of the Joint Task Force investigating released its pictures and videos. 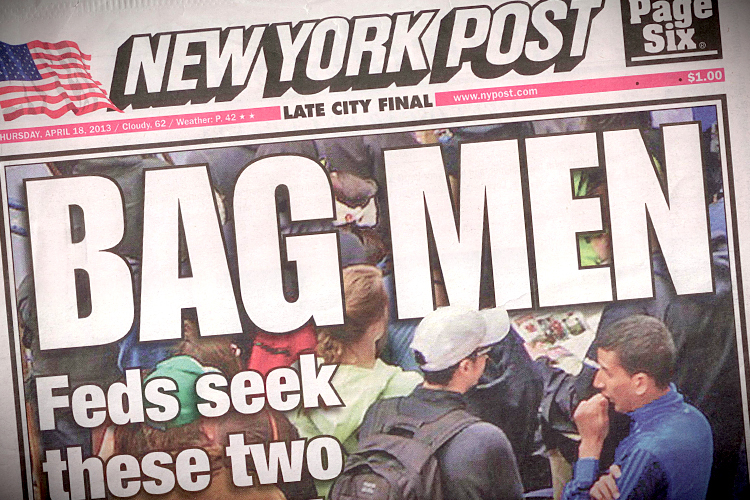 The New York Post misidentified two young men, one a high school student as suspects on its front page. 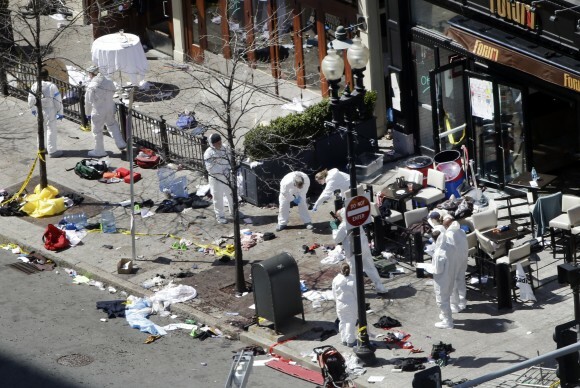 Numerous bloggers and others posted photos of people in many cases calling them suspects or even guilt parties based on their very limited powers of observation and more than limited knowledge of the event, area and circumstances of the attack. The Post and those others have caused great distress in the lives of innocent people by acting in haste and rushing to judgement. It should be noted that neither the Post or any blogger has apologized to the people that they have falsely accused who are not considered suspects by law enforcement. I think as I watched the coverage of all of these events this week and looked back at other terrorist attacks and industrial disasters that have taken place in my lifetime I was struck by how surreal they all appeared, especially since they happened in such a short period of time. 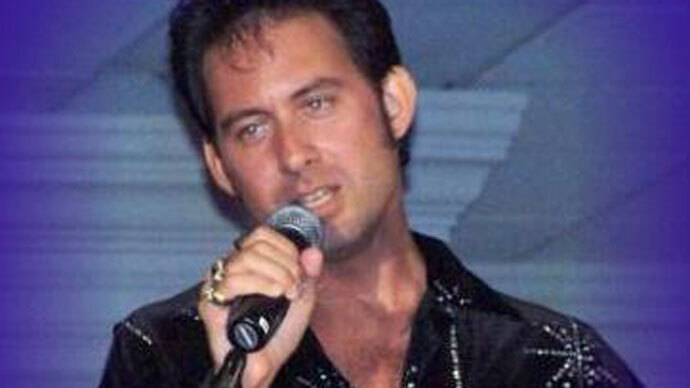 When one adds in other events such as the continued tensions in North Korea surrounding its nuclear program and ongoing threats to South Korea, Japan and the United States. It is a strange time, but if we are to find the truth in all of these cases we have to be careful not to jump to conclusions. History shows time and time again how when people and nations rush to judgement that many times much greater tragedy unfolds.